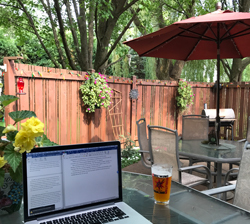 I was looking forward to this exploration of the myths and legends behind the haunts of Bucks County, Pa., and the town of New Hope. The bulk of this hourlong exploration involves supposed psychic Arianna Miles standing in the corners of antique-filled rooms talking to the air. Supposedly the spots of light that mar video (which look like camera lens reflections to me) are evidence of all the spirits she’s talking to. There’s definitely not enough here to convince the weakest skeptic, and very little exploration of the actual ghost stories. 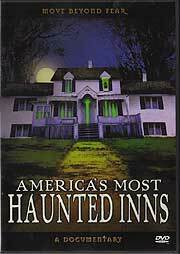 There is also a companion volume to this, also with Arianna Miles, that explores New Hope, called America’s Most Haunted Town. Hammer Films in England became legendary among horror fans for its long run from the 1950s to the 1970s as a producer of gothic horror films. With casts that frequently included this documentary’s narrators Peter Cushing and Christopher Lee, the independent studio made a slew of Frankenstein and Dracula movies, as well as some other mummy and werewolf horror titles and “prehistoric” movies like the Raquel Welch vehicle One Million Years B.C. The story of the studio’s rise and fall, with interviews from its principals, makes for an interesting 99-minute collection of trivia, though it could have been arranged in a more cohesive manner. The one negative is instead of following the studio’s history in sequence, it follows the history of the Frankenstein movies from the 1950s to ’70s. It then doubles back to the studio’s beginnings to describe the history of the studio’s vampire movies, then does the same for the next genre of films, etc. So it’s difficult to see how the films interrelated with each other when they were made. A cohesive single story covering all their movies year by year would have worked better. Snippets of this documentary also are presented on the individual DVDs of various Hammer movies that have been reissued over the past year. Over the past 25 years, director John Carpenter has made some of the most memorable horror movies ever filmed. 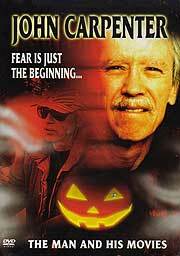 His Halloween remains a classic of the horror film genre, and spawned a series of often ill-advised slasher sequels. His follow-up The Fog, which starred his then-wife Adrianne Barbeau, conveyed a brilliant sense of the “eerie” as people in a small coastal town begin to die when a mysterious fog rolls in, bringing with it the ghosts of the town’s past. While it’s difficult to encapsulate a career as successful as Carpenter’s in an hour, the British documentary John Carpenter: The Man and His Movies does a nice job of showing us where Carpenter came from (a rural town where he always felt “the outsider”). The documentary also shows how he developed his love of horror and sci-fi (reading copies of the magazine Weird Tales and seeing B-movies like It Came From Outer Space) and how he first played in a rock band and tried to make short films (in high school). All of these experiences would shape the man who would become one of the most famous horror auteurs — writing, directing and composing the scores of his films. Through interviews with Carpenter, Halloween star Jamie Lee Curtis (who credits Carpenter for her career), George Romero, Kurt Russell and more, the DVD shows how Carpenter moved from a small town to make an Academy Award-winning student film at the University of Southern California. Then he make his first commercial release Dark Star (which started as a student film) to finally shooting his breakthrough independent movie, Halloween. The documentary spends almost a third of its time analyzing the making and success of Halloween— a film shot with a cast of unknowns on a shoestring budget of $300,000. It went on to gross more than $75 million. Carpenter’s creepy, simple piano score for Halloween is noted as one of the key elements of the film’s success, as well as the fact that there is actually no blood in the movie. Despite that, it launched a wave of “slasher” movies that would revel in spurting gore. The documentary spends some time discussing the Stonehenge-inspired desolately gothic mood of The Fog, shot with Curtis and Barbeau in the same coastal vicinity as Hitchcock’s The Birds. While his next film, Escape From New York, was an apocalyptic science fiction film with elements of larger-than-life comic book heroes and villains, the documentary notes the elements which it and Carpenter’s Vampires share with traditional Westerns. It explains Carpenter’s love of the classic American genre and study of director Howard Hawks, whose early ’50s film The Thing would be remade on a big budget by Carpenter in the ’80s. The documentary glosses over most of Carpenter’s work of the past 20 years, giving only brief mentions of Starman, Prince of Darkness, Escape from L.A., They Live, Ghosts of Mars and others. But it is an illuminating glimpse at a truly original, steadfastly independent horror moviemaker. John Everson is The Star’s Pop Stops music columnist, as well as the editor of the ghost story book Spooks! and author of the Stoker-award winning horror novel Covenant. 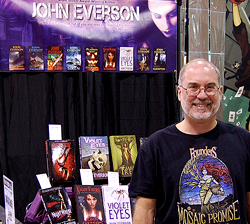 For information on his fiction and past horror DVD reviews, see www.johneverson.com.